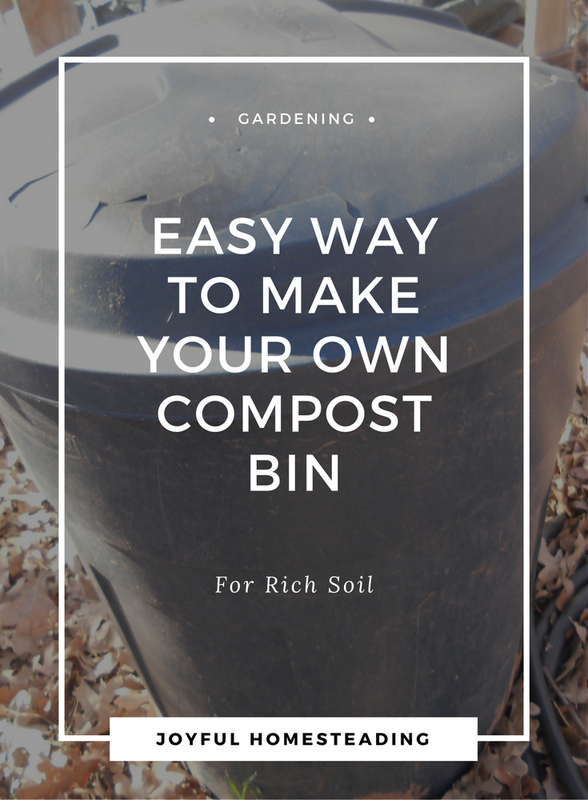 Compost for organic gardening is crucial if you want a productive garden. Pursuing a self-reliant lifestyle means being able to product as much of your own food as you can. But if your soil is poor, your garden will be a big disappointment. People can't survive on water alone, and neither can your plants. They need the nutrients that good quality soil provides. If your soil is too acidic or too alkaline, your garden will not produce the way it should. While fertilizers definitely help, the best way to achieve successful gardening is to start out right, and making your own rich loam is an excellent, self-reliant way to build your garden soil and give your garden plants everything they need to be healthy and strong. That's where compost for organic gardening comes in. 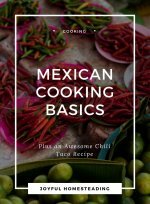 It's an easy, low-cost way to ensure a healthy, productive garden, and the healthier the garden, the healthier the food that will come out of it. Pile up any organic matter, no matter what it is, allow it to sit long enough and eventually it'll turn into dirt. 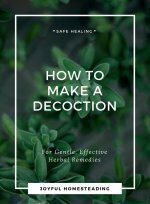 But by stirring things up periodically and adding the right mixture, as well as putting that matter in a compost bin, you could have compost in as little as two weeks. The secret is having a balance of items. Put in too much fruit, and you'll get flies. Put in only leaves, and it won't break down nearly as quickly. 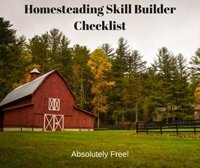 But if you balance it out and add grass clippings, weeds, and leaves, your compost pile will break down much more quickly. 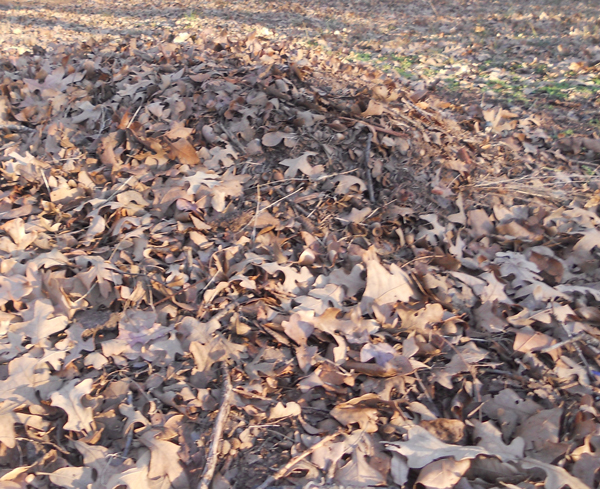 But to ensure a truly fast and productive compost pile, you should also add manure. 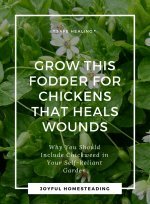 For truly rich, fertile compost that will feed your organic vegetable or flower garden and make your plants strong from the inside out, you're going to need manure from an animal that eats primarily grass. Don't add dog or cat feces to your pile, as it will attract rats, unwelcome visitors to your garden. Cow manure is usually available in most garden centers. Be sure to add at least twenty pounds to every six-foot pile you build. But if you want turbo-charged compost for organic gardening, nothing beats a few chickens. Line the bottom of your nesting boxes with fresh straw or hay periodically and use the old, dirty hay in your pile. The rich nitrogen in the chicken manure will turn your pile into rich soil in a relatively short amount of time. Because I have goats as well as chickens, I usually have about three piles going at once (five goats, forty chickens - lots of manure!). After just one week of stirring, the pile is starting to turn black - organisms in the manure are eating away at the straw and converting it into soil. 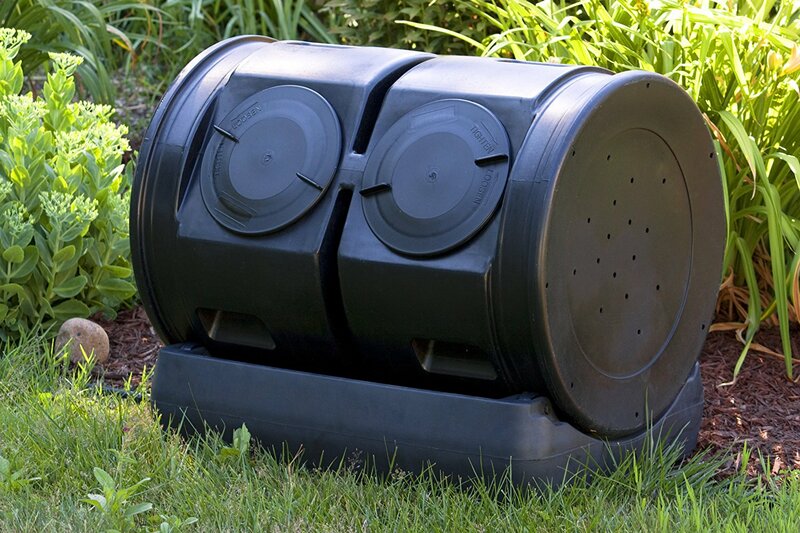 You could buy a compost bin (you can see one here), but you can make one for much cheaper. It might not be as fancy, but it certainly will get the job done. 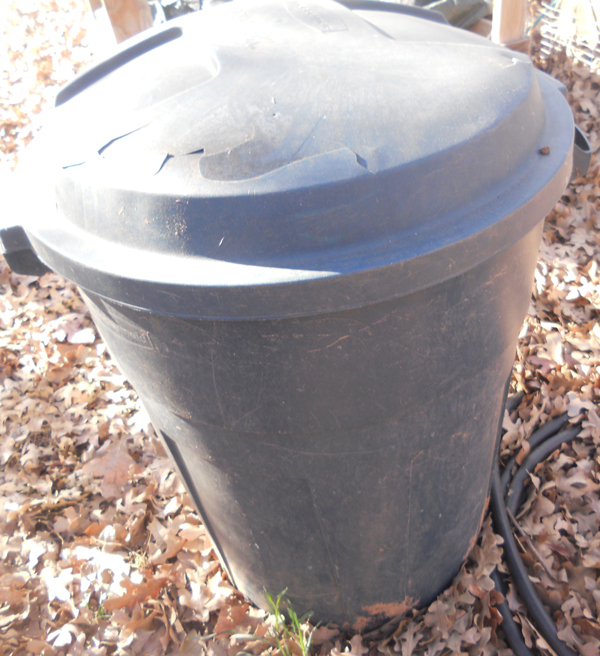 For an easy homemade compost bin, get a plastic trashcan with a fitted lid and then drill a few holes in the sides of the can. A darker colored trash bin will help absorb the rays of the sun, heating up the contents inside. The contents inside need to be slightly damp, but they shouldn't be soggy. Stir the contents twice a week by dumping the matter out on the ground, stirring it, and then piling it back into the bin. If it is a hot summer, you should have good compost for organic gardening within two to three weeks. 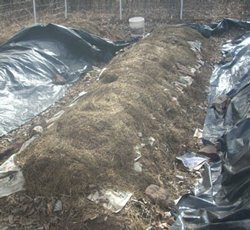 If your compost stinks, stir it, and add more manure. Stir your pile faithfully at least once a week, and you'll soon have marvelous, rich humus.